MMH Academy and RINA Academy have signed an agreement to collaborate their maritime sector training programmes. MMH Academy is a centre of excellence dedicated to the training of the marine, oil and gas communities throughout the Mediterranean region. RINA Academy provides bespoke courses on marine areas, management systems, managerial development, agriculture, railroad networks, hospitality, and the culture of change. 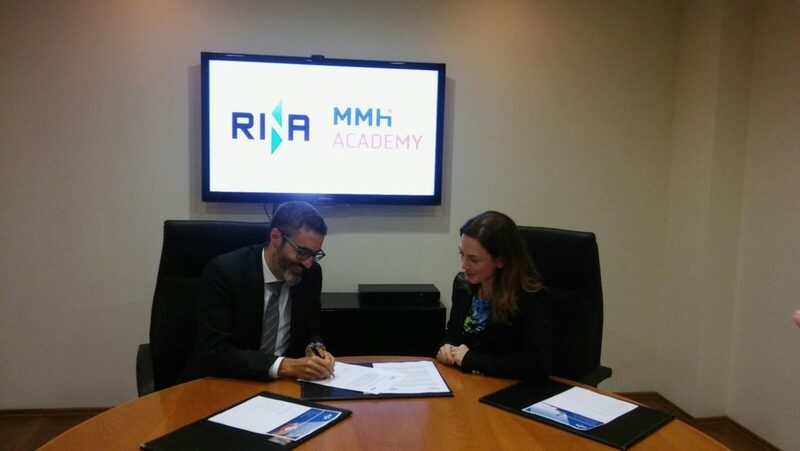 Through the collaboration agreement, all RINA Academy courses will be made available at the MMH Academy, with all courses being certified by both RINA and MMH Academies. “We are excited about this collaboration, as we are bringing together training from the marine, oil and gas sector under one roof,” comments Mr Antonio Ferraro, CEO of RINA Academy Malta. “This will strengthen further the training opportunities in the maritime sector in Malta”. The first course to be launched following the collaboration will be the Dynamic Positioning Awareness course. This 16-hour awareness course introduces DP definitions, equipment classes, DP related documents, surveys and classes. More information can be obtained by contacting MMH Academy via email at academy@mmh.com.mt or telephone on +356 21491060.